At Sethu Group Of Companies we treat our owners’ homes as if they were our own. 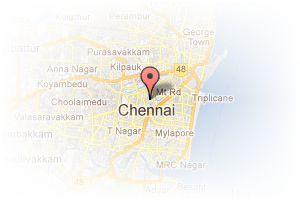 Address: Industrial Estate, Guindy, Chennai, Tamil Nadu, India. This Broker Profile page for "Sethu Group" has been created by PropertyWala.com. 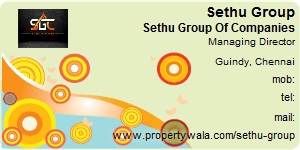 "Sethu Group" is not endorsed by or affiliated with PropertyWala.com. For questions regarding Broker Profiles on PropertyWala.com please contact us.